Why are we doing this? We’re sure you’ve heard of GDPR. But, as a reminder, the General Data Protection Regulation (“GDPR”) is an important new law with comprehensive privacy and security requirements intended to strengthen and unify data protection in the European Union. Taking advantage of the IAB Framework may help you comply with GDPR. It is a cross-industry effort intended to help publishers, 3rd party technology vendors, and advertisers meet the transparency, user choice and consent requirements of GDPR. The IAB Framework is designed to enable publishers to collect user consents and transmit consent signals to third parties. Our Customer Experience team has assembled the most frequently asked questions we’ve received about GDPR, here. If you have more questions, Leland and team are always here to help you and will respond within 24 hours. Just email help@addthis.com. If your website’s consent tool does not integrate with the IAB Framework, below are a few free tools you might consider. You can find the official list of supporting consent tools on the IAB website. Below are a few examples of available consent tools. When selecting your consent management provider, review its options and functionality to ensure it meets your compliance needs. Sourcepoint – Sourcepoint’s Consent Management Platform (CMP) provides website publishers with a flexible way to develop and deploy consent messages in a matter of minutes. The Sourcepoint consent tool grows with you as your needs evolve, from deploying simple consent messages to designing sophisticated user experiences quickly and easily. Watch the video tutorial below to learn how you can set up Sourcepoint on your site. Quantcast – In addition to providing a consent tool, Quantcast also offers a calculator. Answer a few questions about your site and advertising volume today, and they’ll give you an estimate of the revenue at risk if you don’t obtain valid consumer consent to set cookies. Watch the video tutorial below to learn how you can set up Quantcast on your site. We advise all of our publishers to seek legal advice on how to set up their consent tool and privacy notice. Below, we highlight two key practices that all AddThis publishers should adhere to. 1. Consent: You need to prevent the collection of data on your website until the visitor affirmatively provides “opt-in” consent to data collection (via cookies or similar technologies) for the various specified purposes (i.e. a website visitor has the option to select or “tick” the purposes for which they want their data to be used). 2. Privacy notice: You need to clearly explain the purposes for which you (and third parties) collect data from visitors of your website and who you share the data with. These purposes must also be disclosed via your consent tool. 3. 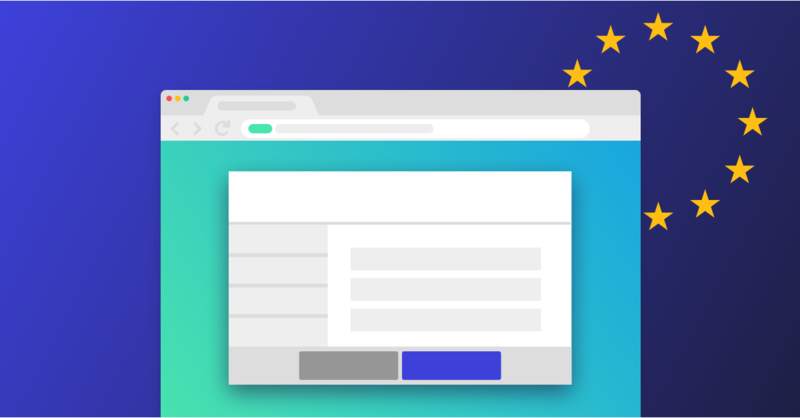 Check out our blog post: “GDPR and Frequently Asked Questions for Publishers” for information on GDPR and for details on how the AddThis Tools interact with your website. For additional resources such as a publisher fact sheet, explanatory video, FAQs and more, visit http://advertisingconsent.eu/publishers/ or reach out to our amazing support team at help@addthis.com.